Have you ever wondered what it would be like to cycle from British Columbia to Newfoundland? 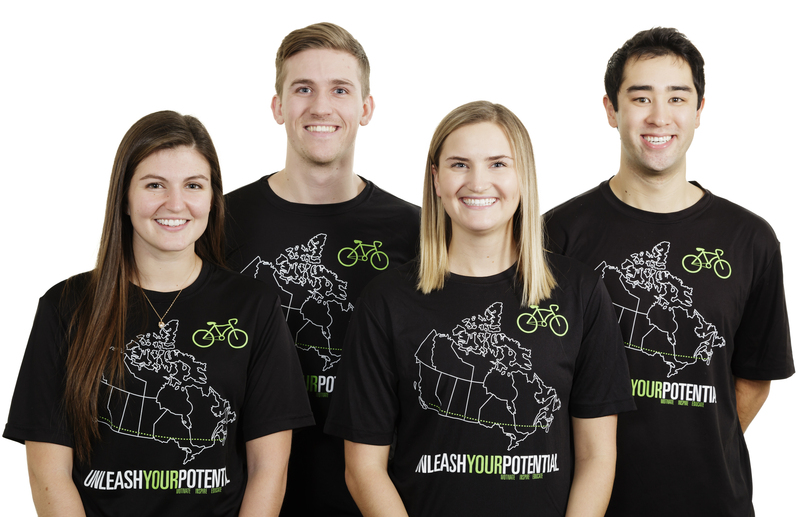 That’s exactly what four students from the Canadian Memorial Chiropractic College (CMCC) will be doing this summer for the Unleash Your Potential bike tour. From the end of May until mid-August, students Sefrah Daviduck, Lauryn Friesen, Justin Reay and Garrett Duff will be making the long and ambitious journey, stopping at schools and summer camps along the way. 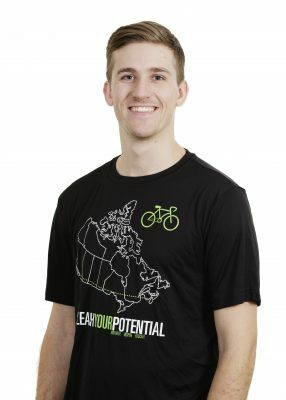 Their mission is to promote physical activity, proper nutrition and stress management to young Canadians, and help them form habits that will last a lifetime and create a healthier generation for the future. The goal of the campaign is what the name suggests – to unleash the potential of every young Canadian to live a healthier, happier life. Growing up in Red Deer, Alta., Sefrah was an avid hiker, swimmer, and long-distance runner, competing in half marathons since the age of 12. She went to the University of Lethbridge where she completed a Bachelor of Nursing before moving to Toronto to attend chiropractic college. While she’s very excited for the summer months ahead, she is aware of the work that will be required to cycle from coast to coast. 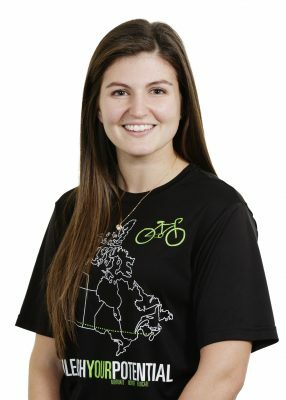 A few years ago, she and her dad spent a week cycling from San Francisco to Los Angeles, Calif., a 45-hour journey that introduced her to the importance of keeping a positive attitude. Sefrah is most excited about exploring the country while spending the entire summer outdoors. She is also looking forward to meeting chiropractors across Canada along the way. Originally from Niagara-on-the-Lake, Ont., Lauryn is a sports enthusiast who grew up playing basketball. She received a Bachelor of Science degree from Queen’s University, where she took courses in physiology, anatomy and biology. It was during that time that she realized she wanted a career where she could help people in a hands-on way and share her passion for healthy, active living. With very little cycling experience, Lauryn is specially poised to inspire youth to accept challenges and overcome obstacles. 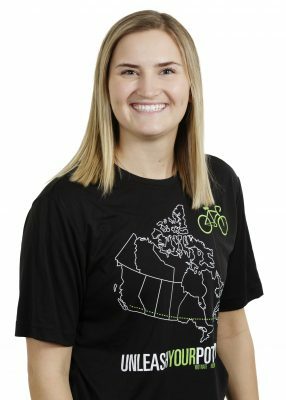 She says that if you had told her a couple of years ago that she would be biking across Canada, she wouldn’t have believed it. Lauryn is looking forward to pushing herself and accomplishing a goal she never thought she could, and to having some fun along the way. Justin Reay came into chiropractic with a very diverse background. After high school, he served in military infantry reserves, worked as a mushroom picker, and taught English in China. He then moved to Ireland and worked in a kitchen before coming back to Canada to attend the CMCC. While he was working and gaining experience around the world, his perception of healthcare changed. He came to the realization that he wanted to work in a proactive and less invasive field with the opportunity to do a lot of good. Garrett Duff of Sudbury, Ont., is no stranger to healthy, active living. 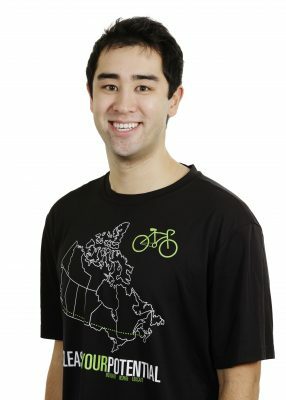 When he wasn’t working at Parks Canada and attending classes at Carleton University, he spent his time biking, running, cross-country skiing and playing badminton. For Garrett, Unleash Your Potential is the best way to express how much he loves his country while completing a physical and mental feat. He admits that he’s nervous about the challenges that might arise along the 8,300-km route. Yet, he’s more excited about getting outside and seeing what the country has to offer. There are many ways to help make the Unleash Your Potential tour a success. Whether you’re interested in sponsoring the team financially, offering meals and temporary lodging, or requesting a talk, you can learn more at www.unleashyours.ca. The Canadian Chiropractic Association is a proud sponsor of the Unleash Your Potential campaign.